For most business applications, the single scale survey just doesn’t collect enough information to base accurate decisions on. People are more likely to change when the feedback they receive is personal, job-related and relevant to their development. 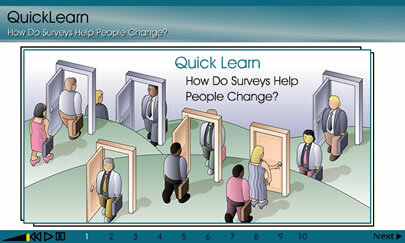 Compass Plus is a powerful web-based survey system. It can capture data from anyone, anywhere in the world. 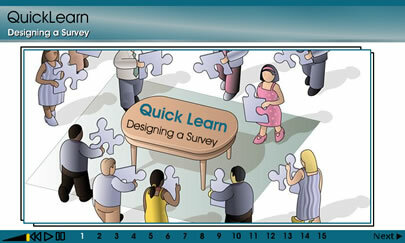 Designing a survey is a disciplined process that can be made easier by following specific guidelines. Begin by identifying behaviors, skills or abilities that need to be evaluated. Compass Plus® is a powerful web-based dual- scale online survey software system to help you get the human resources data you need to successfully run your business. It is designed to be customized to capture the exact data and information you need. The Compass Plus™ system is a streamlined Dual -Scale Survey system that is easy to use. 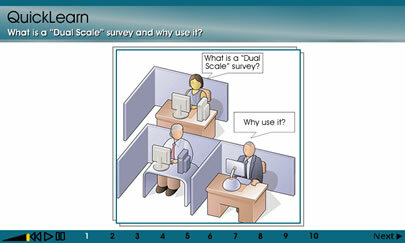 Let us show you how to get started today getting better results from online Dual- Scale surveys. If you need more precise, timely and appropriate data, you've come to the right place. 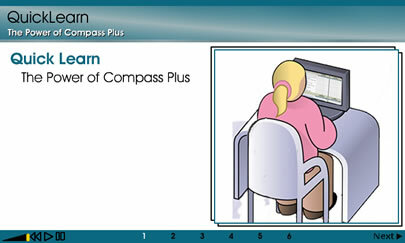 Compass Plus® is a tool you need to know about. Find out how affordable it can be to find out the real answers to the right questions. The Compass Plus® business survey tool is a product of two organizations, Resource Connections, Inc. and Rivertown Communications, Inc. Both organizations are Minnesota, USA-based businesses and have years of experience in developing and delivering training programs to help business, organizations and government agencies. Because of our experience and thought leadership in all these areas, we were able to develop an effective dual-scale survey tool that can help your organization measure outcomes and improve effectiveness. Our combined customer base includes businesses of all sizes, from small, start-up companies destined for growth to some of the largest multinational corporations.